Career change or switch is indeed difficult but rewarding at the same time. There is no law committing you to your career field for the rest of your life and if you are unhappy with your performance, it is the best time to change your career path. Switching a field can really be daunting, but fortunately, there are resources available that serve you if you want change. When you feel you can’t get success in your professional life, an MBA is one of the only best tools in the current competitive job market that gives you the way to get success. There are many MBA applicants who look for a career change of some kind. The ‘knowledge’ is one of the most prominent factors behind MBAs’ appeal to people who want career change. If you apply for an employment in a company with only your former occupation experience, it may not be the wisest decision. If you complete MBA, this approach will give you helping hands by developing your skills and by expanding your knowledge base necessary to get success in your new professional career, while the period you have spent preparing yourself will substantiate your seriousness in front of the prospective employers that you have the passion of learning the ropes in future post-MBA employments. Career changers are also attracted to the valuable networks rooted in academic programs of MBA. The wisest decision will be dedicating your time as an MBA student networking with other students, teachers and former students. Establishing relationships and familiarizing yourself with your current and potential players in your preferred field may offer you the opportunity to get success into a new career path. There are lots of business schools that really assist you with your approach of networking and in this regard they arrange trips to organizations where you want. Throughout this period, you will learn about how to do a business and how to interact with employees. In fact, you’ll be fully able to make valuable contacts throughout this period. The most exciting and prominent aspect of the MBA that can really assist in your career is the internship in your MBA field. In fact, all the MBA students expect an internship program to complete and get comprehensive knowledge with pragmatic experience. Many programs help out the students to find intern positions and for this, they organize recruiter events or reserve internships with different firms. 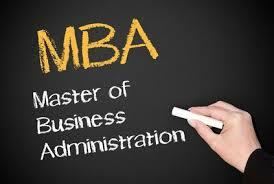 This is an in-built attribute of MBA program that will give you enough knowledge and experience you need. 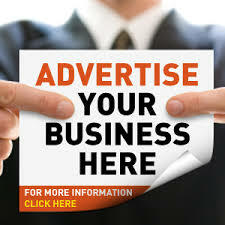 This attribute will also give you a chance for a potential professional career in the firm once you’ve earned your MBA. There are lots of companies that always prefer former interns while recruiting new workforce, as they are aware of the candidates. Thus, making a strong impression on the company or employer throughout your internship period can really boost you and your professional career. Learning and understanding your new field is imperative and there are many business schools whose experts will help you very professionally. Benefit from the knowledge available and get in touch with your professors and most importantly with your career counselors or advisors to prepare yourself.